Initially we attempted to clear the blocked sewer line with jet blast. We were able to clear the line to get in the sewer pipe to do a camera inspection. 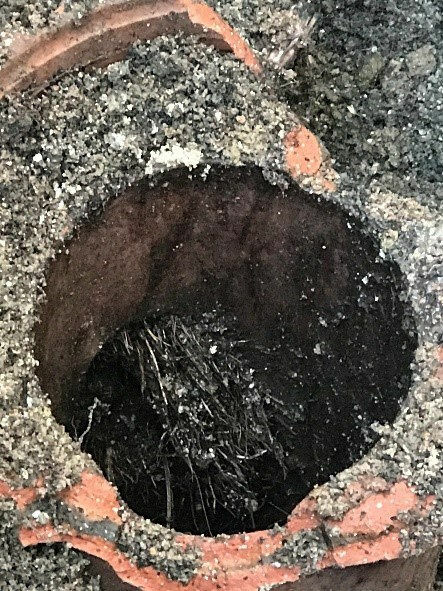 After inspecting and locating the problems we found that the sewer lines had a collapsed shaft and also had several roots in different locations and dislodged pipe throughout the line. 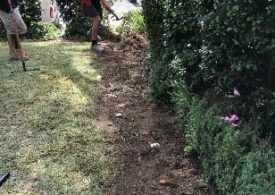 We advised the customer what should be done to completely fix the problem as the clients have had this issue for several years and advised that we need to replace the piping. We excavated down to the base of piping on the front of the property and removed all old defective piping. We then cleaned out the hole correctly and concreted the base of hole to support the new pipe. 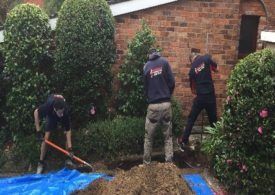 We connected onto Sydney water piping and raised up new upvc shaft and connected that onto the house line. We raised inspection to floor level for future access. We filled the hole with blue metal and backfilled remaining hole with with soil. Finishing up, we compacted and cleaned up work area. 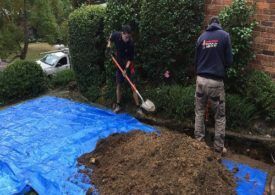 Additionally, we excavated house main sewer run from house to new shaft and replaced with new 100mm upvc and backfilled with blue metal and remaining soil. 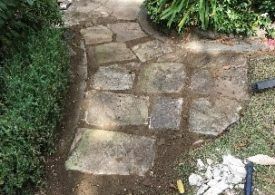 Our clients were extremely happy with the result and clean-up of works as we took the time to cover the work area before starting.